If you prefer to book a tour, we have listed some excellent small group bus tour companies here. Airey’s Inlet to Lorne: 30 minutes or so. Lorne to Apollo Bay: 1 Hour roughly. Apollo Bay to Lavers Hill: 45 minutes, approximately. Lavers Hill to the 12 Apostles etc. 45 minutes or so. 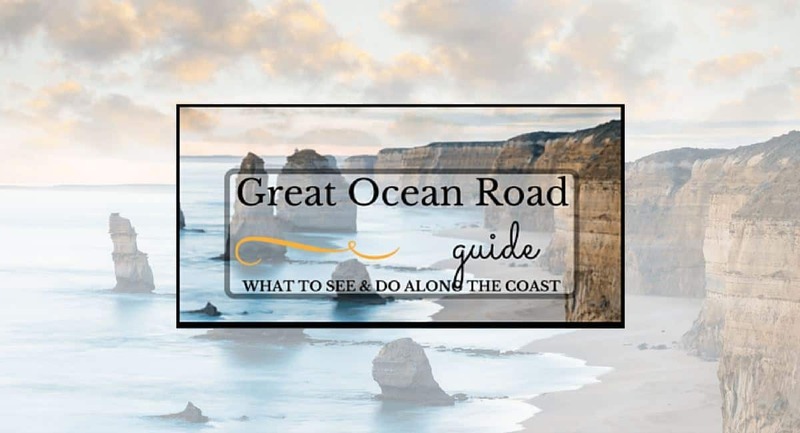 This Great Ocean Road guide highlights many of the attractions that can be found along the way before you even reach the famous 12 Apostles! Accommodation along the Great Ocean Road is plentiful – hotels, apartments, backpacker lodges, caravan parks and self-contained cottages. There is something for everyone. We can recommend these awesome places to stay. If you can spend more than one day along the Great Ocean Road – Do it! This Great Ocean Road Guide is for families, solo wanderers, couples, and mates! 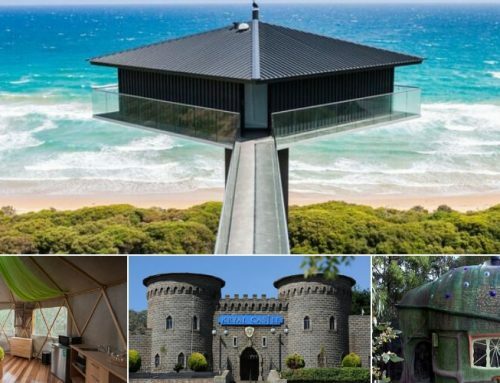 Read our 3-day itinerary for the Great Ocean Road, a complete route suggestion plan to follow with some accommodation options. 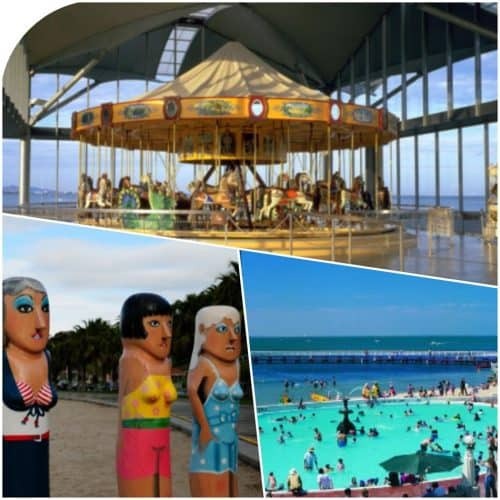 Geelong is a lovely city, but if you are heading to the Great Ocean Road… you may not want to stop, it is about 30 minutes before you reach the seaside! If you do have time, travellers, pop in and visit the waterfront area of Geelong. The old carousel is gorgeous, fully restored and enclosed, plus the painted bollards will have everyone laughing. The fabulous long beach below ironbark forest and stunning cliffs. This is an area generally missed on the GOR trail, though it deserves more attention. A few walks head through the forest and down to the beach as well as providing excellent lookout points. The short ‘Koori Cultural Walk’ is well worth visiting. Head down the Point Addis road and look for the walk signs on the left-hand side. Pretty little seaside villages, loads of kangaroos on the local golf course at Anglesea. Visit the Split Point lighthouse and old-time replica wooden slab hut in the nearby park. Airey’s has a great little playground for kids with wooden sculptures to explore. Yeah, now it really feels like you are cruising the Great Ocean Road. The Memorial Arch… stop to take a photo or two! One of the busiest villages on the Great Ocean Road, steep forested hills rise up behind Lorne and the ocean laps at its feet. 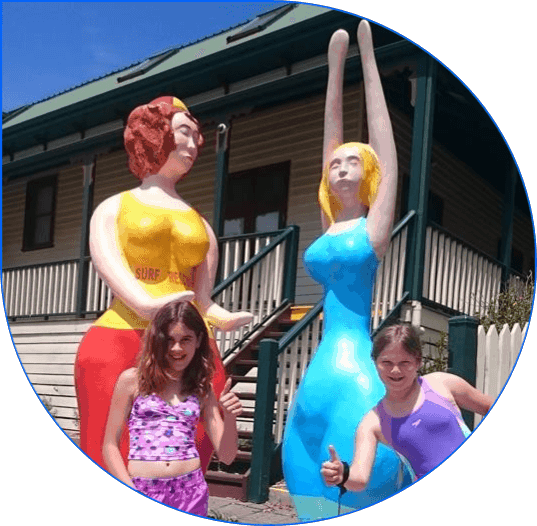 You will know you have arrived in Lorne when you see the wicked surf ladies on the corner! Swimming pool and playground for kids, plus BBQ’s to use for free! Walk or drive to Erskine Falls (walking is along the river directly from Lorne itself). Teddy’s Lookout – often missed, but worth the short drive for the speccie views. Now you are driving on the famously winding part of the road… steep drops down to the ocean and rugged cliffs on the inland side. Gorgeous though! A number of small waterfalls can be visited along the way, all well sign-posted. Artillery Rocks… do go down and visit this well-known fishing spot! Take care though and be aware that large waves can crash over the rocks unexpectedly. Kennet river – fabulous koala spotting territory! Drive up Grey river road and watch out for our Aussie icons in the trees. Ah, Apollo Bay. My favourite spot for families. And everyone else too. It gets busy during the peak holiday times, but not as manic as Lorne. A much more spread out town too, with rolling hills and a simply stunning, endlessly long beach. Fresh seafood, terrific cafes and plenty of accommodation options. Great information centre with local crafts and such too. Drive up to Mariners Lookout, then a short walk to the top of the hill for stupendous views across Apollo Bay. Mariners Falls is a lovely spot to visit if you have time. 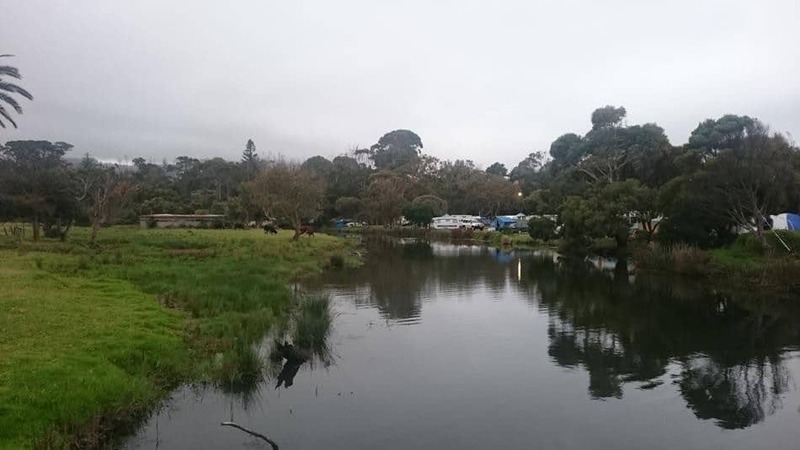 Camping by the river at the Apollo Bay Rec Reserve. That’s our little blue trailer tent yonder… Cabins can be hired, not too expensive either. Cape Otway, loads of koalas to be seen on Cape Otway, plus the well know lighthouse is worth a visit. Blanket Bay is a pretty little spot with camping available. 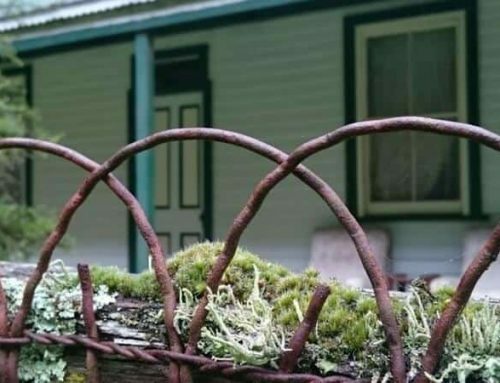 Camping or cabin accommodation can be found at Bimbi Park. Maits Rest, a short rainforest walk is a definite place to go see. Easy walking, it is accessed from the Great cean Road, about 20 minutes from Apollo Bay. Beaches down by Johanna – camping and awesome surf. Otway Fly -Fabulous treetops walk up in the Otway Ranges. Triplet Falls, up in the cool temperate rainforest of the Otway Ranges is the prettiest waterfall around. Hopetoun and Beauchamp Falls are worth a visit too. Melba Gully – just past Lavers Hill, along the top of the Otway Ranges. Another super little rainforest walk and famous for glow worms at night. Aire River West has a budget-friendly camping area. Close to the beach and off the beaten track a little. It used to be free, but greedy government-run management now charges a fee for camping. Not too much, but still a shame that all the free sites have been ruined to an extent. Moonlight Head – about 20 minutes past Lavers Hill is a place many people miss! 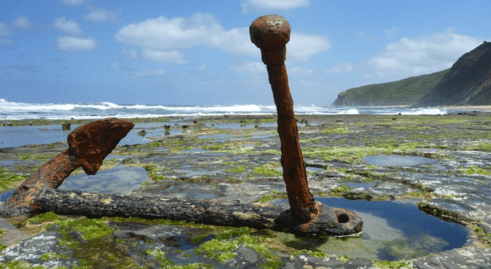 A steep walk down to the beach at Moonlight Head rewards visitors with a classic scene of a ship’s anchor embedded in the rocks. The result of the shipwrecks Marie Gabrielle (1870) and Fiji (1890). Accessible at low tide only. Castle Cove, near Glenaire, is worth a visit. Walk down the steps to the beach (not a safe swimming beach). The area is of archaeological significance, with dinosaur fossils found there in recent times. Last shop before the 12 Apostles! Stop in at the tiny wee speck of a village, Princetown. The 12 Apostles etc are just 10 minutes away. Helicopter joy flight over the 12 Apostles anyone? 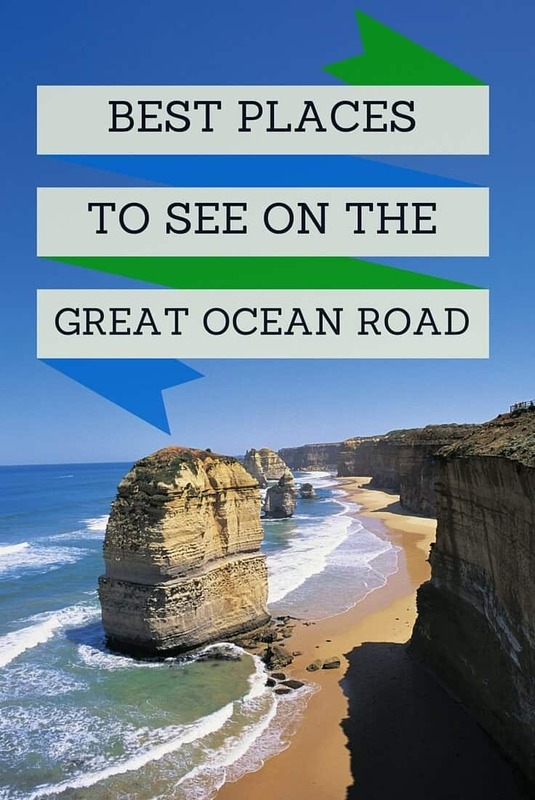 Read our More about the Great Ocean Road and Tour Itineraries here. Very detailed, useful guide. And that top photo of the 12 Apostles just fantastic! Thanks Frank. I used to run backpacker tours down there, got to know the area well. So many little spots to visit.